it is good enough for the original Shiloh, Binyamin Region in the Land of Israel. You could also call us a village or a town. 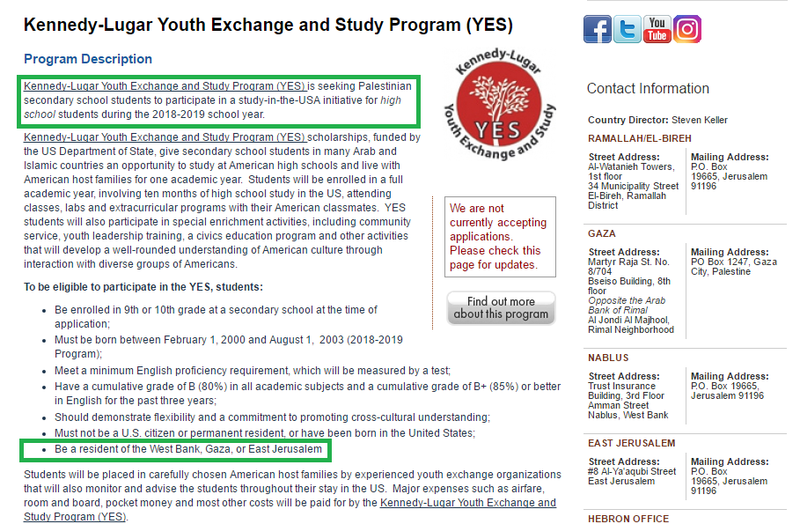 it seeks "Palestinian secondary school students" in order to get them to participate in a study-in-the-USA initiative for high school students during the 2018-2019 school year. That pretty much excludes thousands of Jews, it would seem. This map is in a campaign promoting a two-state solution sponsored by Peace Now. Although it is used to display public opinion poll percentages, it nevertheless, totally misrepresents the reality on the ground and is misleading. 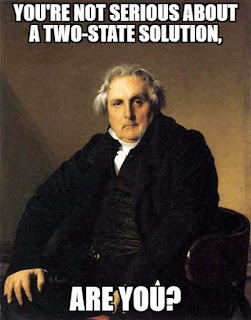 Wrong area of what two-states would look like, no topography, straight lines as borders, etc. As my readers know well, the construction and building (and even planning) of houses, schools and other edifices as well as fields, orchards and hothouses are headline material, a subject for UN deliberations, fodder for campus strife and what not. I live in Shiloh in the Benjamin Region and sort of suffer from all this hullabaloo. Unlike other Shiloh residents, like those in Illinois, USA. The Shiloh Board of Trustees remains divided on how to move forward with the dilapidated Red Barn that continues to sit at the end of Country Lane. Do they pass the bid opening up to $400,000 to restore the building for a new Cultural Arts Center? Or do they tear it down and construct a new building for the center? After much deliberation, the board remained split during its Jan. 23 committee at large meeting 3-3. Shiloh Mayor Jim Vernier cast the swing vote to pass moving the bid opening to a $300,000 maximum, and a $400,000 finance proposal for the Red Barn rehabilitation. A final vote is expected to take place next month during the full board meeting at 7 p.m. Monday, Feb. 6. Village Administrator John Marquart informed the board that the village qualified for a tax exempt note on a loan with Commerce Bank locally for $400,000 to finance the initial improvements. Trustees Mark Kurtz, Greg O’Neil and Bob Weilmuenster voted in opposition, while Colleen Powers, Tina Warchol and Kurt Burrelsman approved the maximum bid amount be reduced from $400,000 to $300,000. And can you imagine me talking about "Greater Shiloh"? 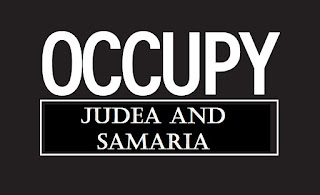 The Jews of Jerusalem filed another solemn protest with the District Commissioner of the Holy City and were given new assurances of a further investigation as steps taken by the Moslem Supreme Council were clearly seen as a violation of the status quo of the Jewish Holy Site. A hospice has been established by the Moslems in the house adjacent to the Wailing Wall, and they are establishing a Home for the Aged in another house nearby. In addition a Muedzin appears on the roof of a house adjacent to that corner of the Wall where on Saturday the Aron Kodesh, the Ark containing the Holy Scrolls’ is placed. The Muedzin comes out five times daily to call Moslems to prayer. Mohamed Ali, famous Indian Moslem leader, arrived in Jerusalem today. 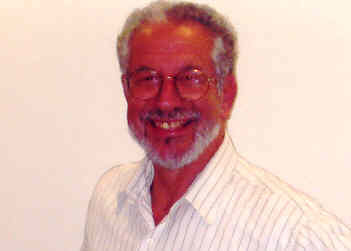 Some political significance was ascribed to his visit, in connection with the Wailing Wall agitation, and the government of Palestine was somewhat hesitant about admitting him to the country. The demand for granting him a visa was pressed by the Moslem Supreme Council which argued that the government should permit Mohamed Ali to enter the country, since it permitted Vladimir Jabotinsky to do so. This is most inaccurate, Mr. Jabotinsky declares, for it was not to Jews but to another (and much more formidable) community that I referred as to a potential reservoir of human “dynamite”. 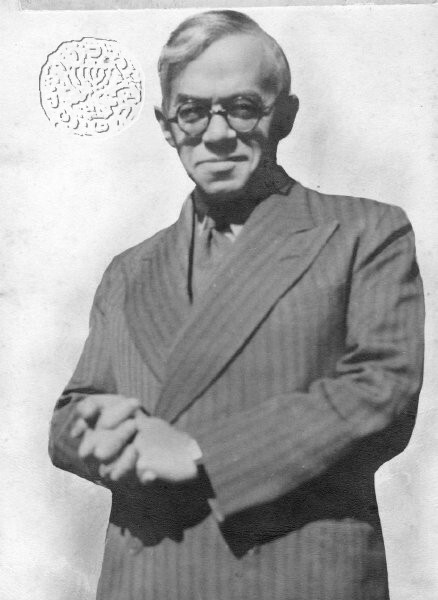 (Mr. Jabotinsky, in his original letter indicated Islam as being the other community, but the “Times” made the change in printing the text). But I especially resent the wording of your cable, Mr. Jabotinsky goes on, because it sounds as though I suggested that “Jews” wished or might wish harm to the British Empire. So far I have heard of no Jew who does. 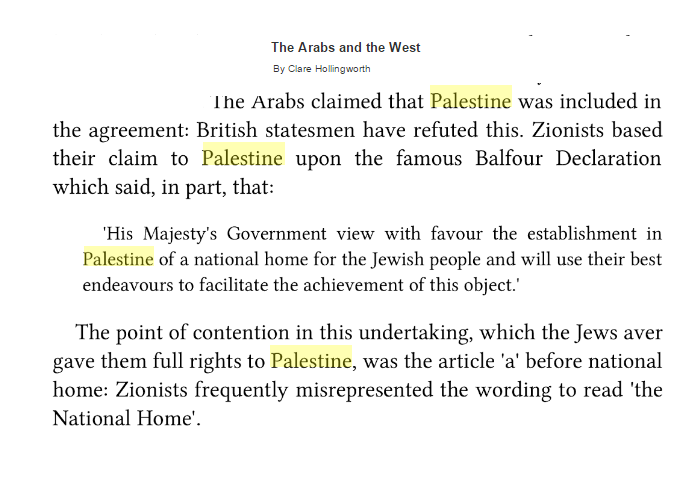 It is one of our racial weaknesses (too often taken advantage of) that with us resentment does not necessarily imply the desire for revenge; and “the Empire” really bears no responsibility for England’s action as Mandatory in Palestine. On the other hand, he says, the object of my present mise au point is by no means apologetic. On the contrary, your cable’s epitome of my Warsaw speech was in some ways rather an under-statement. It was England, not the Jews, whom I accused of playing with “dynamite” – with a store of potential high explosive consisting of some 300,000,000 units; and what seems likely to be “blown up” as a result of such practice is, I said, something much bigger and more important even than the British Empirenamely, the world’s stability. The second passage is: “But this is not the only game of world incendiarism in which some English agencies now seem to engage. There is an even bigger one going on just now: I mean the systematic galvanisation of pan-Islamic fanaticism in its most medieval and reactionary form. 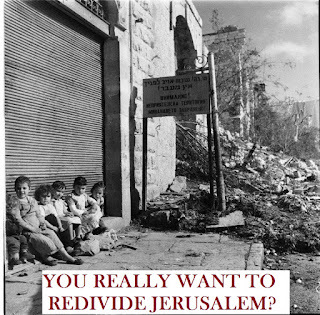 Jerusalem is being converted into a centre of incitement vying with the worst efforts of the Muscovite Comintern, a centre from which innumerable sticks of dynamite are to be showered all round, threatening not only our Jewish settlers in Palestine but also the whole of Europe’s colonial system. It is not to us Jews, it is to some of the mightiest nations of Europe that England may soon have to render accounts for this shortsighted and dangerous gamble with the world’s security conducted under her aegis”. This is what I actually said, and here I repeat and confirm it. Let me warn all concerned against attempts to shout down the feelings here expressed as those of one single faction or one single person. 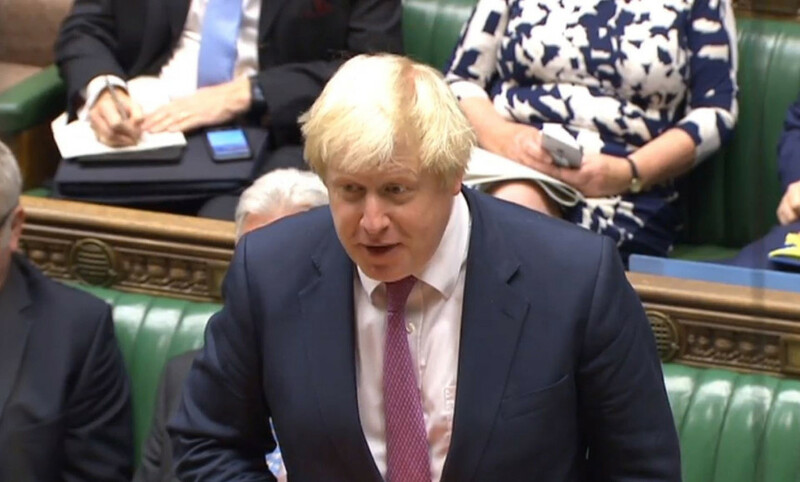 It would be blindness not to realise that the natural reaction to all this must inevitably be the rise of a strong anti-English feeling among all sections of Jewry not living under the British crown. In this term, anti-English feeling, I imply no hint of a futile threat: no Jew dreams of trying “reprisals”, nor would it save us if we tried. But the feeling itself is a fact; it grows and spreads and deepens day by day, and it can no longer be stemmed. It is with the profoundest regret that I state this undeniable truth. There are even in England, some who know how stubbornly my friends and I have stuck to the last trench in trying to keep up our people’s waning faith in England. 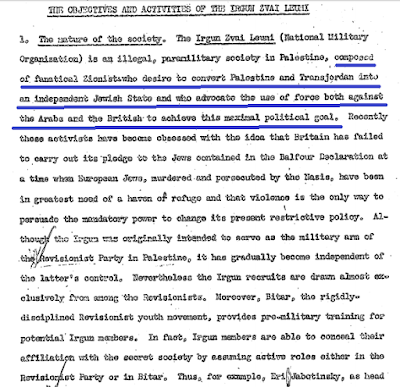 It was we who have for years, and even as late as the 1931 Zionist Congress, endeavoured to persuade our masses that the main defaulters were the Palestine bureaucracy and the Zionist leadership; but that there still remained England’s collective conscience as our Court of Appeal, and if we only could reach it it would redress all our wrongs. I wish we could still go on preaching the same doctrine for it can do our people no good, in its present unparalleled distress, to have to admit that a pledge meant to endorse a national hope of such universally revered sacredness can be turned into a mockery. But a moment comes when even the most desirable illusion can no longer be maintained in the face of cruel realities. See here, too, on the matter. And "trembling Israelite" Eder. 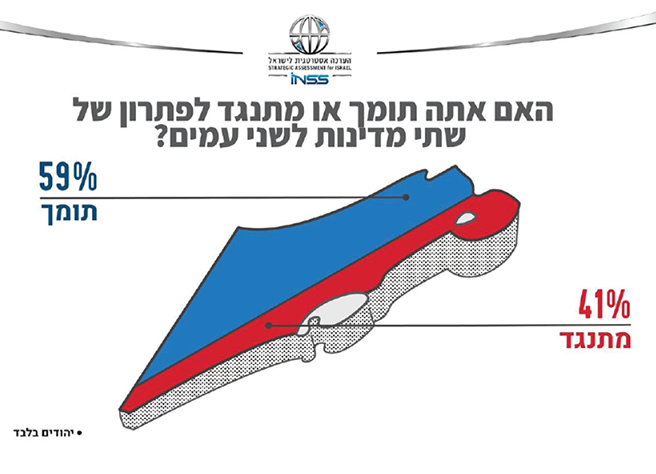 The allegation of the Arab delegation to the United States that Vladimir Jabotinsky, leader of the Zionist Revisionists, had once said that "the Zionists will only allow enough Arabs to remain in Palestine to be hewers of wood and drawers of water" is an invention, the Executive of the Revisionist Organization here declared today after receiving word from Mr. Jabotinsky. Emir Ardel Arslan, head of the Arab delegation, made this assertion in an interview with the Jewish Telegraphic Agency in New York, April 29. 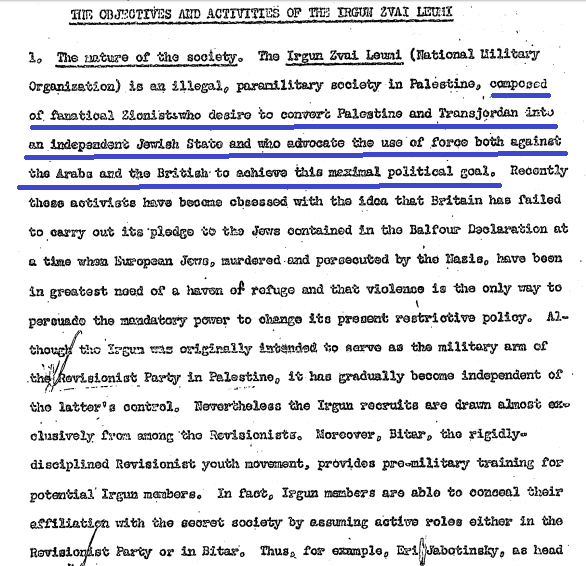 What Mr. Jabotinsky did say is incorporated in the report of the Palestine Inquiry Commission (page 176). He said "there is not one Zionist who really dreams of ousting the existing rural population of Palestine. Suppose that practically all the available land in Palestine is occupied by fellaheen who actually work it. I would say, irrespective of whether I desire to oust them or not, it is impossible. They will remain, therefore, nothing remains for me. Then I would try another avenue. "Perhaps it is possible, despite all, to constitute a nation simply by urban population, waiting for such time when the intensification of cultivation will allow the Arabs to live on a smaller area so that we can buy the remainder. If I came to the conclusion that that cannot be done, I would go to the Jews and say, ‘Commit suicide or go and become, I do not know what, Bolsheviks, anything, because you have no hope’." Nor was this a one-off. What year and in which circumstances this written? 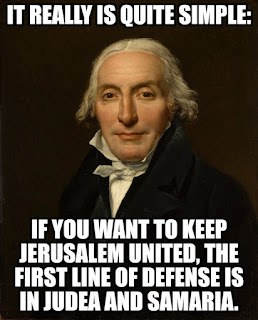 Fourthly, all parties undertake to use vigorous means to prevent any unfair act in party strife, such as libel, slander, insult to individuals or groups, the spreading of false news, denunciations, or insults to the symbols, flags or uniforms of the opponents. 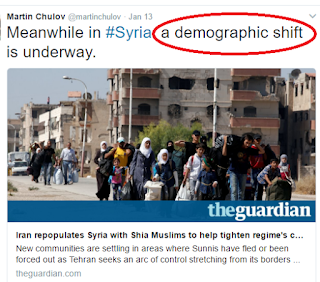 In the Guardian you can read of how "Iran is engineering population swaps in Syria". 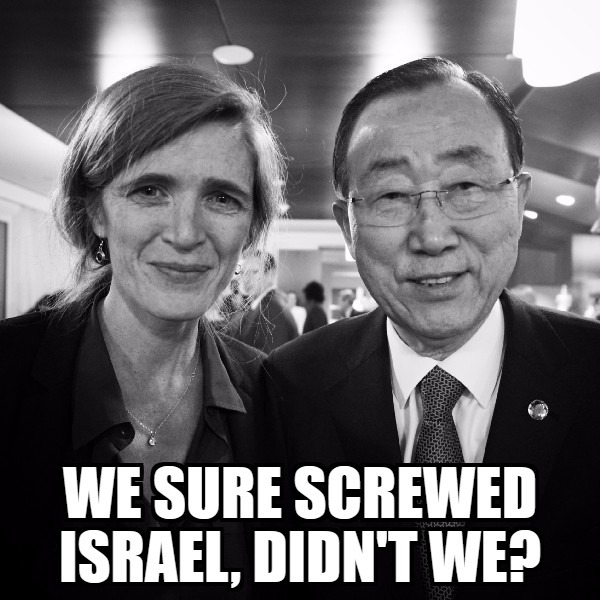 But isn't Israel accused of a war crime on the basis of Geneva 1949? 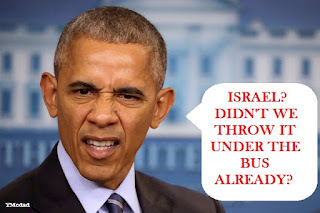 Burglars last night broke into the London residence of Vladimir Jabotinsky, head of the world Zionist Revisionist organization, and escaped with practically his entire wardrobe. Other property was also taken. As a result Mr. Jabotinsky will have to re-outfit himself completely to attend a Revisionist conference in Poland before his departure for the United States later this month. Jabotinsky is quiet and forceful, with the assured air of a man who sees a sharply defined vision, totally lacking in confusion or compromise, which he knows must be realized. 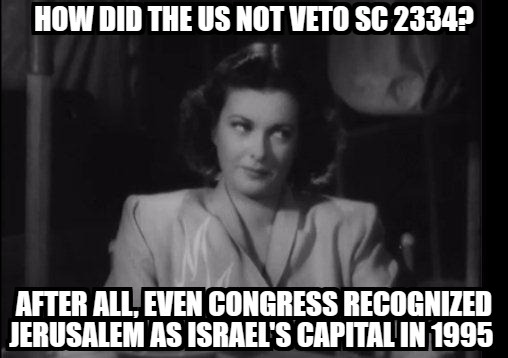 That vision is a Jewish nation in Palestine. 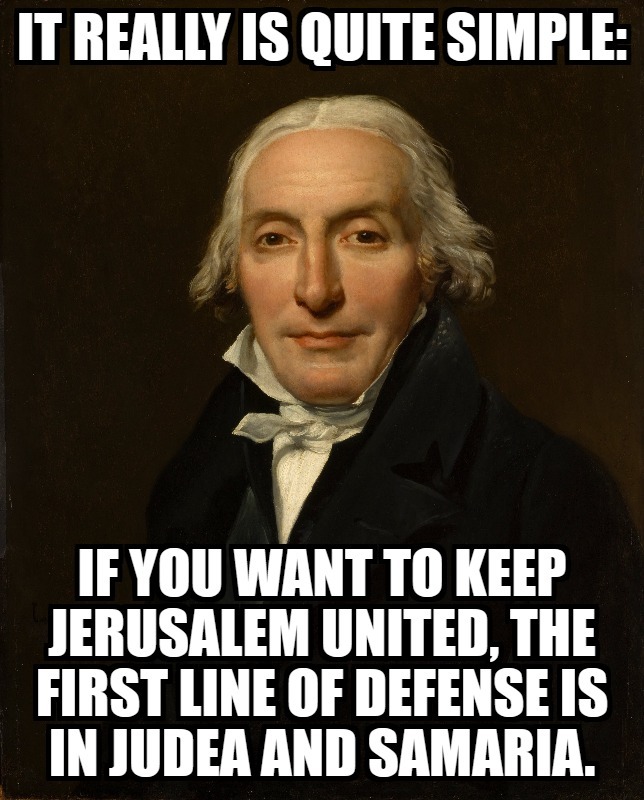 “How can the Jews achieve a true Homeland in the Holy Land?” the reporter asked him. 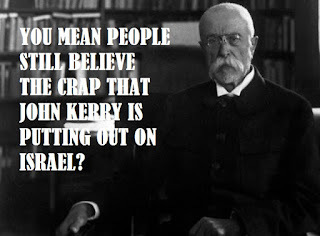 “By demanding it,” Jabotinsky said quietly. Vladimir Jabotinsky, president of the New Zionist Organization, speaking at the Anglo-Palestine Club, declared last night that European belts of Jewish distress comprised 6,000,000 whose hopes centered on migration to Palestine. 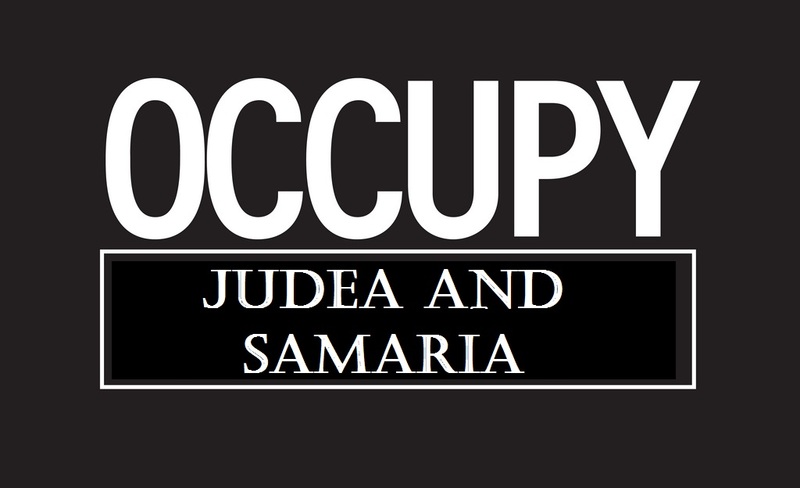 "The hopes of Europe's six million Jews are centered on emigration. 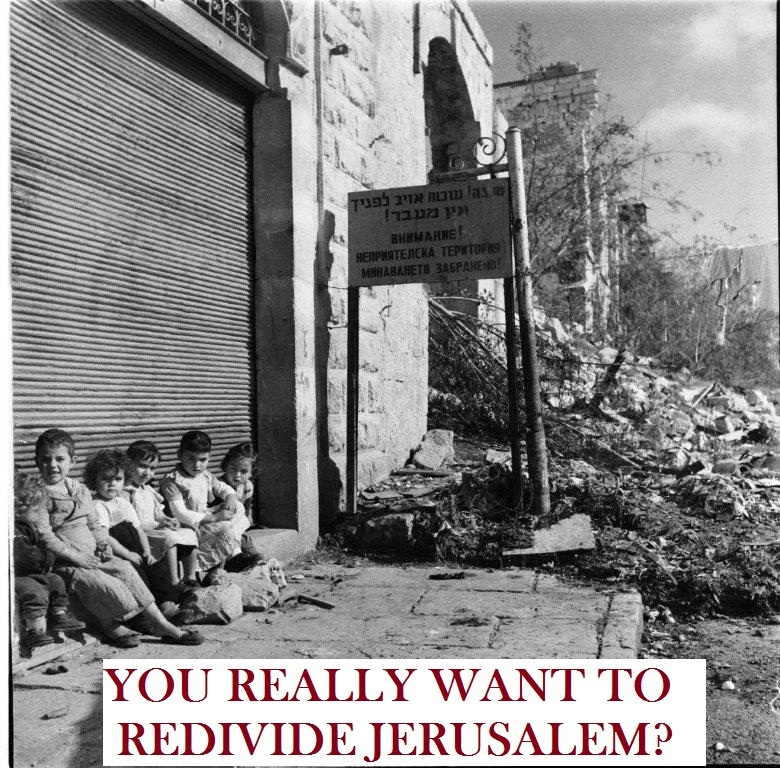 I was asked, 'Can you bring six million Jews to Palestine?' I replied, 'No'....From the depths of the tragedy I want to save two million young people...The old ones will pass. They will bear their fate or they will not. They were dust, economic and moral dust in a cruel world...Only the branch of the young shall survive...They have to accept it." 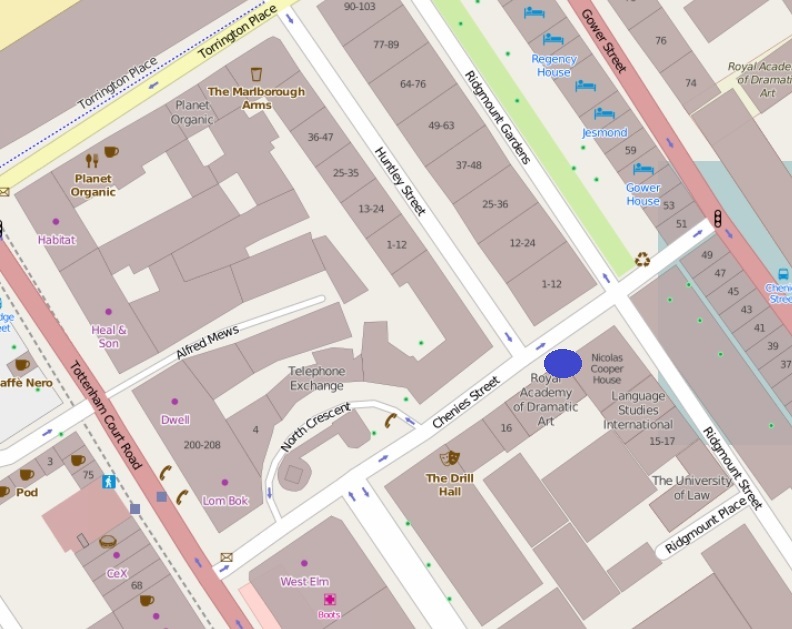 is marked by some memorials and history, the fact that the Jewish Legion HQ was at 22 Chenies Street is not marked. Isn't that a grand idea? 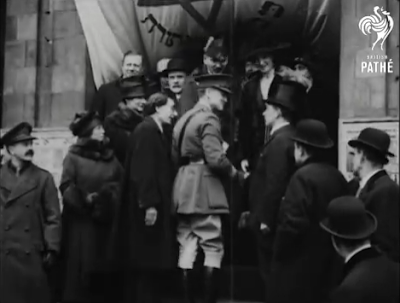 By the way, as I included in a previous blog post, there is a film clip and it would be wonderful if the building Patterson stands in front at around 1:30 and at 2:12 Jabotinsky appears was that Chenies Street building. Is there anyone who could check newspaper archives and see if there was a report which mentions the parade which took place on Monday February 4th 1918? It may have been The Pavillion Theatre in Mile End Road (which actually stood at 193 Whitechapel Road, near the corner with Vallance Road). 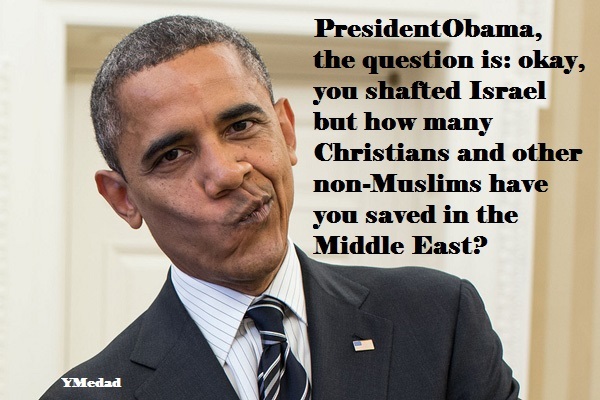 QUESTION: I want to stay in the Middle East. You did so much shuttle diplomacy. 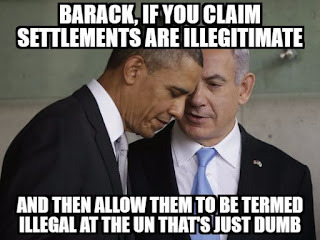 Basically, yet another administration has not brought peace between the Palestinians and the Israelis. QUESTION: Donald Trump says this is going to be his priority and that his son-in-law Jared Kushner, who is an Orthodox Jew, will be a great negotiator and make a peace deal. While it is fair to note that Kushner is an Orthodox Jew, to make sure we're fair all around, I thought to note Amanpour's personal background as well. In fact, we can add that she is married to a Jew by birth, American James Rubin. Now if I was the interviewer, I'd ask Mr. Kerry: "what compromises to you expect the Palestinian Authority to make? Territories, because isn't the game "territorial compromise"? Or, perhaps, the PA needs to fulfill commitments they signed in previous agreements that until today that have not fully carried out? 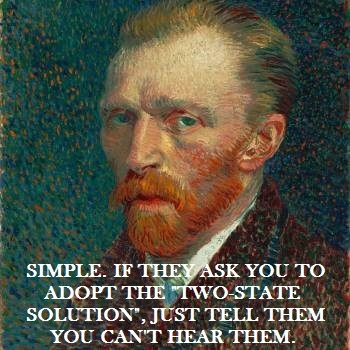 Why not ask: "well, why can't they be a 'unitary state'? Are you sure the demographics are negative?" QUESTION: Do you think they’re ungrateful? 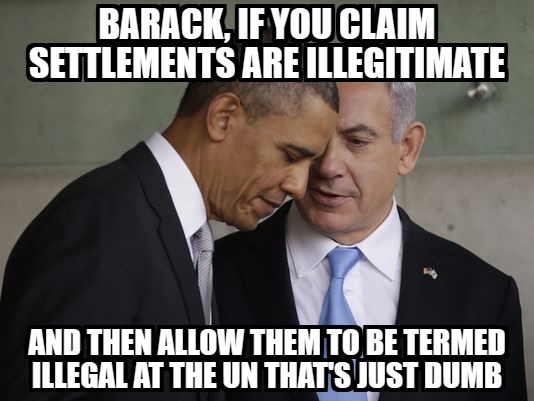 Do you think Prime Minister Netanyahu is ungrateful? SECRETARY KERRY: No, I’m not characterizing it in any way whatsoever except to say that it – we speak out of a caring and concern for Israel as a democratic and Jewish state, and we also speak out of concern for the Palestinians, who will not be able to satisfy their aspirations ever without the ability to be able to create a state. So both have a huge interest in being able to move this forward, and we wish the administration coming in all the luck in the world if they find a different formula that will actually work. 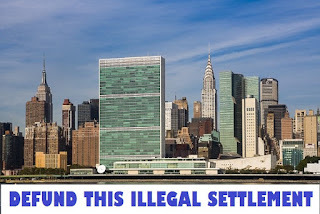 But I will be stunned if the Arab world writ large and the Palestinians in particular – because everybody has said the parties have to arrive at an agreement – I guarantee you the Palestinians are not going to agree to less than a state based on 1967 lines with swaps. They’re just not going to do that. Did she do a follow-up and ask: if the end is a state based on the 1967 lines with swaps, what compromise is that? After all, they started the 1967 war with the terror campaign of the PLO beginning on January 1, 1965? Did she ask him about Israel and Iran? 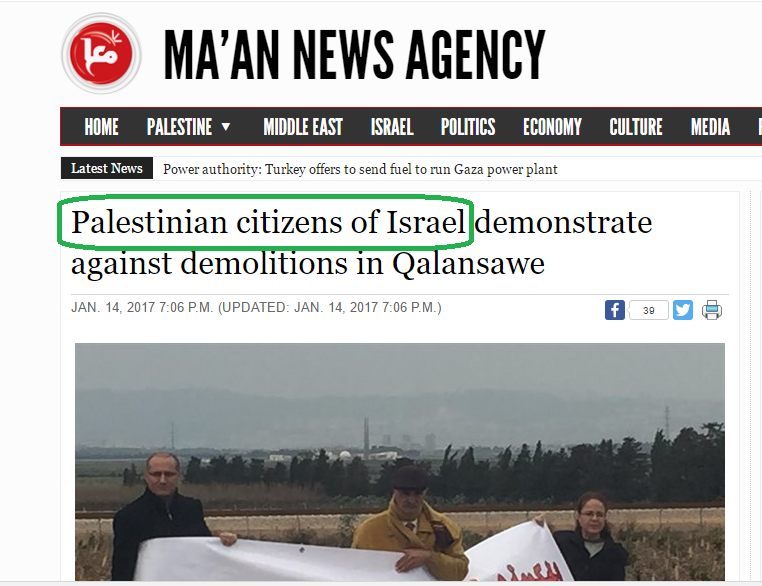 In the past, we would have read "Israeli Arabs demonstrate...". They are not "Arabs" but "Palestinians". Their nationality, even if born in Israel, is not Israeli. There has never been a sovereign Palestinian authority to explicitly define who is a Palestinian, but the term evolved from a geographic description of citizenship to a description of geographic citizenship with an Arab ethnicity. 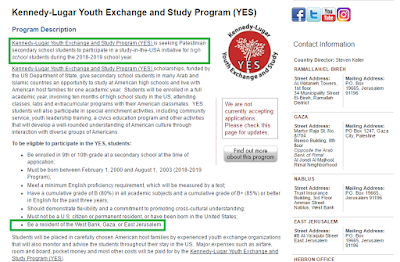 So, there's a fictitious nationality based on a fictitious people in a fictitious country. The Muslim Arabs conquered the Land of Israel that had been conquered by the Romans whose empire then became the Byzantine Christian Empire. It wasn't a country but just to districts. 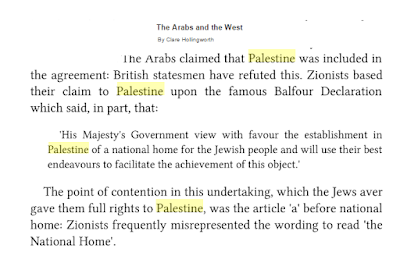 So, to be "Palestinian" is not only a fiction but a racist status. One of the most famous and best of the female war journalists. She also covered Palestine after World War II, narrowly escaping injury or worse when the Irgun attacked the offices of the Government Secretariat and the General Army HQ esconced in the expropriated southern wing of the King David Hotel. I fail to understand her linguistic comment. Can there be two Jewish National Homes? What difference, politically, geographically, semantically or otherwise, would the "the" add that an "a" doesn't? 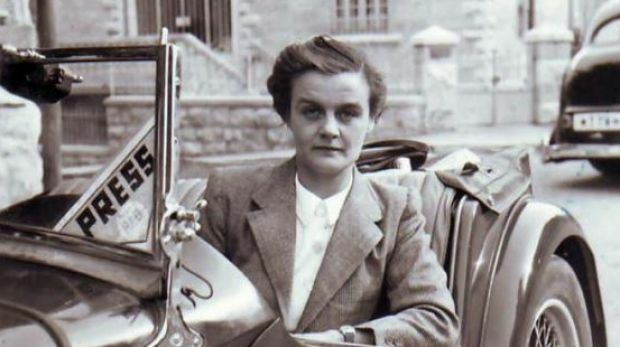 After the war, Hollingworth, by now working for the Observer and the Economist, married Geoffrey Hoare, the Times's Middle East correspondent.The couple were just 300 yards from Jerusalem's King David Hotel when it was bombed in 1946, killing 91 people.The attack left her with a hatred of the man behind the attack, the Irgun leader Menachem Begin, who eventually became prime minister of Israel and won the Nobel Peace Prize. "I would not shake a hand with so much blood on it," she explained. He fools himself. And the British House of Parliament. 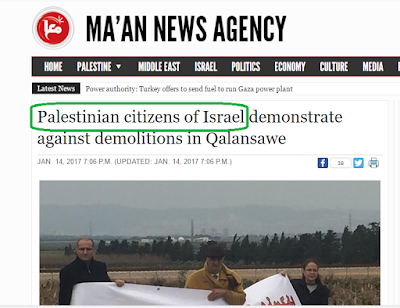 For those in the dark, the PA considers a "Jewish settler" and a "Jewish settlement" an act of state terror justifying their acts of "resistance" (actually, terror). 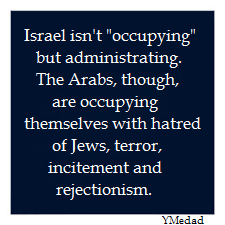 The text is quite ambiguous and permits the Arabs to act against Jews.